Part of the construction of Eton Manor included the restoration of a war memorial to Eton Manor Club members who died in the two World Wars. Bird boxes on the building's roof will provide a habitat for wildlife. 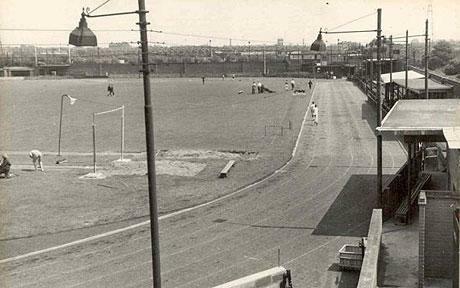 A training venue for aquatics athletes ahead of the Olympics, Eton Manor will also feature the same track used at Wembley for the London 1948 Olympic Games. 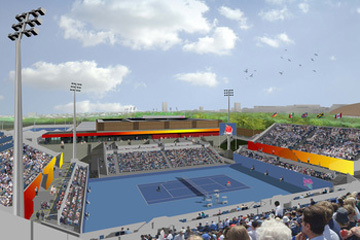 Over 10 million litres of water will be used to fill the venue's pools, and it also features nine competition tennis courts for wheelchair tennis, as well as another four warm up courts. After the Games the venue will be used for a number of sports, with hockey and 5-a-side football incorporated. Five temporary training pools will be available to participants during the Games, after which it will become part of a sporting facility for the local community. Eton Manor Rugby Club and Eton Manor Football Club, as well as an athletics club, are still in existence, though the original Eton Manor Boys Club at the venue ended more than 40 years ago. With its numerous sports facilities, Eton Manor has been providing a sporting legacy for the best part of 100 years, with many talented athletes getting their first taste of competition at the venue. This will include a tennis centre with four indoor and six outdoor courts, a hockey centre and ten five-a-side football pitches, and the hockey pitches are planned to be relocated from the Hockey Centre. The final work on Eton Manor will take place in Spring 2012 when temporary stands and pools will be completed.